The best tool for business travellers to make productive, fun use of their time is access to airport lounges at the airports they are flying into or out of. I’ve gained access to airport lounges through my credit card, which offers a free Priority Pass membership as a perk. Priority Pass has access to over 1,200 lounges all over the world. Access to lounges has made travelling much more relaxed and enjoyable experience, as I can spend my downtime before flights working with reliable internet and enjoying a coffee or food. I highly recommend it. In the last six months, I’ve taken upwards of a dozen flights. That sounds fun, until you realise how much time that requires in the hostile and utterly exhausting environment of the world’s airports. Factor in that I’m the kind of traveller who always gets to airports early – no amount of travel experience will dispel my persistent anxiety of missing my flight – and it can be a lot of time wasted. Thankfully, I found a way to make the endless hours I spend at the airport both productive and fun. I’m a bit late to the party, but access to airport lounges is quite possibly the most essential tool in any business travellers’ toolkit. These days, I’m no longer caught between my anxiety over missing my flight and the fear of being stuck in an acrid airport food court hellhole for several hours. I’m just excited to see how swanky the airport lounge is. I pop in – like a king – gather my spread of snacks and coffee (I avoid alcohol before flights as I’m prone to migraines), find a quiet corner, and set to working on my latest article. There’s something intensely pleasurable about being able to get work done when I used to waste time wandering from the newsstand to boutiques from which I have no interest in purchasing luxury products. QantasQantas Lounge’s yoga studio in Perth, Australia. Airport lounges vary from destination to destination, so you have to be sure to do a bit of research ahead of time to figure out what’s available and where it’s located. Some lounges, like the Blossom Lounge at Singapore’s Changi Airport, have showers, a nice perk after you’ve accumulated all sorts of smells on a 14-hour flight. The Qantas Dreamliner Lounge in Perth, Australia offers yoga classes to help unwind after the inevitably long flight to Australia. Lufthansa’s lounge in Frankfurt, Germany has a cigar room with fine whiskies and cognacs for tasting. The Al Safwa first-class lounge at Hamad International Airport in Doha, Qatar even has private bedrooms so you can sleep on a long layover. Other lounges, like the Primeclass Lounge in Muscat International Airport in Oman, offer a spa, a cinema room, and a “game zone.” Even if you’ve finished all your work, there’s plenty to stay entertained. You can see where I’m going with this – it’s worth it to get lounge access. 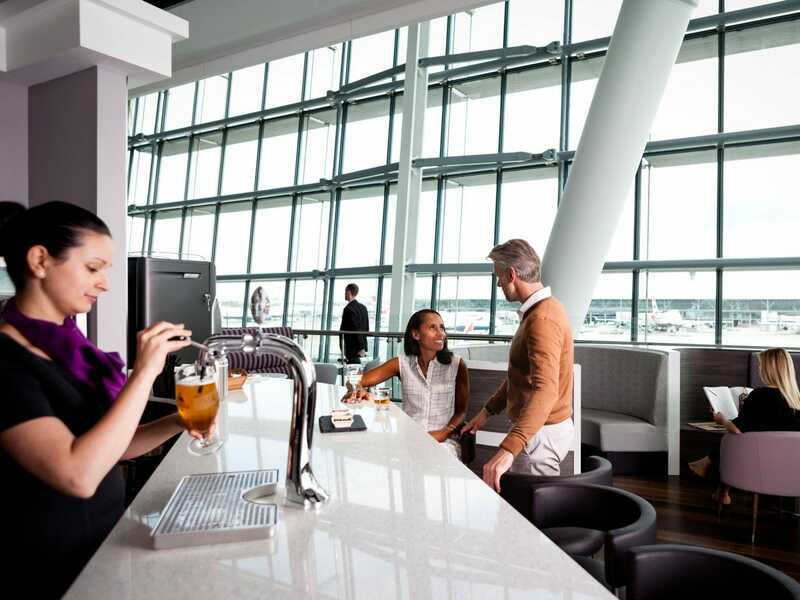 AspireTravellers can watch the planes go by with a drink or even get a quick spa treatment at the Aspire Lounge at London Heathrow’s Terminal 5. First of all, most lounges sell day passes for between $US25-75 a day, depending on the lounge. If you’re going this route, LoungeBuddy has deals on day passes and extensive reviews of lounges. Priority Pass sells memberships directly: $US99 per year for Standard, which charges $US27 per lounge visit; $US249 per year for Standard Plus, which includes 10 free lounge visits; and $US399 per year for Prestige, which provides unlimited lounge access. Unlike the Priority Pass offered through credit card perks, all membership levels charge for guest access. The most basic way to get lounge access is through perks offered by your credit card, particularly if it’s travel-focused. 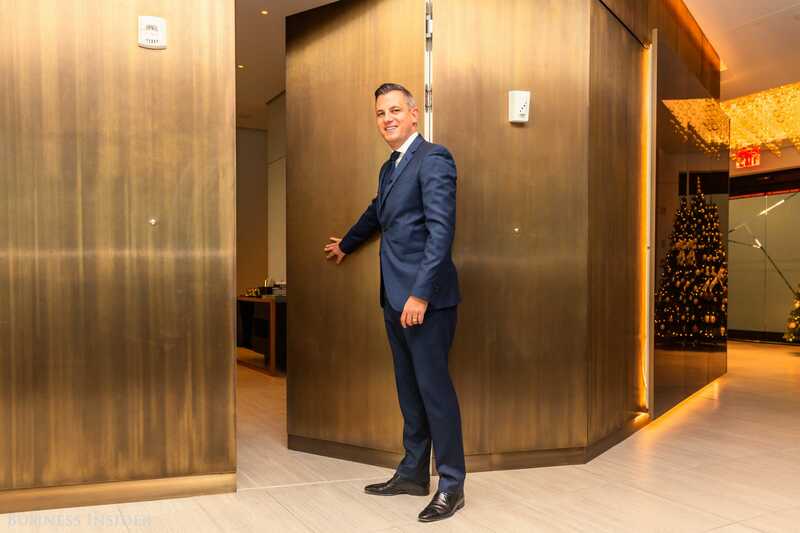 American Express offers Platinum and Centurion cardholders access to its network of Centurion Lounges and Delta’s Sky Clubs, in addition to Priority Pass membership. Other American Express cardholders can get access to Centurion Lounges at $US50 a pop. I currently have the Chase Sapphire Reserve, which also includes a free Priority Pass membership. While it has a hefty $US450 annual fee, it’s a no-brainer if you travel even occasionally. The card has a $US300 travel credit, bringing the fee down to $US150. Hang at a few airport lounges before flights and you’ve got your moneys’ worth. Some lounges are run by airlines, with access given to frequent fliers or first-class or business travellers. Others are run by third-party companies, which grant access to business or first-class travellers or members of participating clubs like Priority Pass. Others are run by the airports themselves and offer access in a similar fashion as the third-party operators. Airline-run lounges tend to sell yearly memberships for $US350-550 a year and allow you to bring in family members or guests. If you fly one airline frequently, it’s worth checking your frequent flier status. Elite status with an airline gets you access to the airline’s lounge network. No matter what way you get in – I can promise, you won’t regret it. And ignore the warnings from the Wall Street Journal that lounges have become overrun by normies. They’re just trying to keep you from enjoying the best open secret in travel.